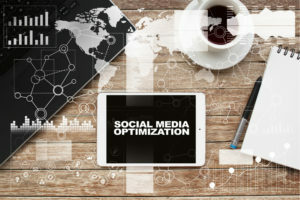 Social Media Optimization (SMO) plays an instrumental role in a successful online marketing strategy as it provides an effective, yet cost-friendly way to improve online visibility, brand strengthening, and lead generation for a small business. SMO is about devising a strategic social media plan to facilitate a better connection with the target audience and improving the online presence of a brand. However, continuous changes and new emerging trends can make effective management of social media handles an extremely technical and time-consuming task. Thus, many businesses are opting for an experienced digital marketing firm to handle their social media accounts. Here are some quality tips on how you can optimize your social media accounts. The main ingredient of an effective and successful social media marketing strategy is consistency. The best way to maintain consistency is scheduling your posts in advance. Not only will it help you to post quality content on a regular basis, but also provide you a cushion in case of unforeseeable circumstances which may restrict you from creating fresh content. Furthermore, it will also allow you to maintain good quality control over the content, ensuring that your posts are error-free and relevant to your target audience. Hiring a digital marketing firm to handle your social media accounts is a highly convenient and effective way to maintain consistency and uniformity of your posts and may lead to improved brand image. Hashtags also play an important part when it comes to optimization of social media accounts as they provide your audience an additional way to find you. The use of hashtags should not only be limited to Twitter, but also be used on other platforms such as Facebook, Instagram, LinkedIn, and others. Find trending hashtags in your niche, learn about the terms influencers in your niche are using, and create your own hashtags to promote your marketing campaign. What’s the point of optimizing your social media account when you do not have enough exposure in the first place? In order to remain competitive and relevant, you must ensure that you are taking advantage of multiple social media channels. Though you can focus on one that suits your niche, for instance, if your target audience are business professionals, you should pay more attention to LinkedIn. Similarly, if your clientele is a millennial and young generation, then devoting more resources on Facebook and Twitter might serve you better. Supplementing your social media campaign with different channels such as Pinterest, Quora, Instagram, and Tumblr may give your brand more exposure. This will ensure that you don’t miss out on any opportunity to promote your brand. A competent digital marketing firm can help you to efficiently allocate the right resources to the correct social media accounts to maximize the results. For instance, 100 million hours of videos are viewed each day on Facebook, so you may be better off using video content for your marketing campaign.